Daniel Staub? Who the hell is Daniel Staub? Nobody has ever heard of a ballplayer named Daniel Staub. But everyone has heard of Rusty Staub, and for the French and English fans of a brand-new ball club in Montreal, Quebec, Canada, he was known—and loved—as Le Grand Orange. Daniel Joseph “Rusty” Staub was born on April 1, 1944, in New Orleans, one of two boys born to Ray Staub, a schoolteacher, and his wife, Alma Morton Staub. As his mother told it, Daniel became Rusty even before he left the hospital. Ray Staub was a catcher with the Gainesville G-Men of the Class-D Florida State League in 1937-38. When Rusty was only 3, Ray give him a bat and told him to start swinging at anything round, such as fruit, rocks, softballs—you name it. Rusty took to the bat the way Canadian kids take to hockey skates, and as he got older, he became a good hitter. Staub and his older brother, Chuck, played at Jesuit High School in New Orleans. With Rusty at first and Chuck in center field, Jesuit won the 1960 American Legion national championship and the 1961 Louisiana State AAA championship. As a result, major-league teams scouted Staub heavily, this being the days before the amateur draft. The Boston Red Sox even sent Ted Williams to talk to him. Scouts from 16 teams beat a path to Staub’s door, but ultimately he accepted an offer with a $100,000 bonus from the spanking new Houston Colt .45s, an expansion team about to play its inaugural season in 1962. Staub’s signing was literally a whirlwind event, as general manager Paul Richards arrived in New Orleans at the height of Hurricane Carla to get his signature on a contract. After batting .299 in the Arizona Fall League in 1961, the 18-year-old Staub dominated the Class-B Carolina League in 1962 while playing for the Durham Bulls. He led the league in hits with 149, and batted .293 with 23 home runs and 93 RBIs. Not surprisingly, he won league rookie of the year honors, and a trip to the big club for 1963. As well as he hit in spring training, Staub was not going to take the first-base job away from Pete Runnels, who came to Houston after winning the 1962 American League batting title with Boston. Manager Harry Craft had Staub in right field and batting cleanup on Opening Day against the defending National League champion San Francisco Giants. He made an impressive debut, going 1-for-3 with a walk and an RBI, even though the Colt .45s lost 9-2. However, a solid debut does not a season make, and it was clear that Staub was overmatched, despite the best cheerleading efforts of the press. Maybe not, but some were probably snickering, because at that point of the season, Staub had zero home runs and 15 RBIs and was batting .248. He finally hit his first big-league home run on June 3—a game-winner off future Hall of Famer Don Drysdale, no less—one of only six he hit all year, along with 45 RBIs and a .224 batting average. Staub did not hit well enough as a rookie to have a sophomore jinx, but he had one anyway. While playing first base against St. Louis on June 23, he dropped two throws on batted balls in the seventh inning that led to the winning run for St. Louis. By July 3 he was hitting only .202 with 4 homers and 27 RBIs, so the club decided to send him down to their Triple-A affiliate, Oklahoma City of the Pacific Coast League. Staub was devastated. Staub tore up Pacific Coast League pitching during his time there; in 71 games he hit 20 home runs, drove in 45 runs, and hit .314. If nothing else, the demotion restored his confidence. He was called up in midSeptember, and in his final 16 games, he doubled his home run total for the year, to eight, and batted .271. Baseball entered a new era in 1965 with the opening of the Houston Astrodome, baseball’s first indoor facility. Staub became the first person to hit a ball into the stands at the ballpark during a preseason batting practice session in February, where singer Anita Bryant had a gay old time throwing out the first pitch to stadium architect Bob Michew. Staub began his rise to becoming an All-Star-caliber player with the newly christened Astros from the start of the 1965 season. He got off to a rough start early in the season, but by July the alarm clock in his head finally went off. His batting average rose from .216 on June 28 to .256 at the end of the season. He reached double figures in home runs, with 14, and had 63 RBIs. In 1966 Staub improved even more with a .280 batting average, 13 home runs, and 81 RBIs, and won the team’s most valuable player award as selected by the Houston baseball writers. By 1967 any doubts about his star potential disappeared as he started hitting early and never let up. He was batting .346 by the All-Star break, with 7 home runs and 39 RBIs, and was named to his first All-Star Game by National League manager Walter Alston. Staub pinch-hit and singled in the 11th inning of a classic game in Anaheim that the National League won 2-1 in 15 innings on a Tony Perez home run. Staub’s consistency at the plate continued in the second half. He finished the year with a .333 average, 10 home runs, and 74 RBIs, which was good enough for fifth in the National League batting race.6 He also hit a league-leading 44 doubles. The baseball writers chose him as the team’s MVP again, this time by one vote over Jimmy Wynn. The 1968 season began with Staub holding out for eight days before finally signing a contract reportedly for $45,000. The Astros moved him back to first base because he had injured his groin several times the previous season. Staub lost approximately $300 of that salary when he and teammate Bob Aspromonte were each docked one day’s pay for refusing to play against the Pirates on June 9. President Lyndon Johnson had designated that date as a day of national mourning after the assassination of Senator Robert Kennedy.8 Aspromonte lost approximately $200. The Astros had an off day on June 10, but on the following day, both Staub and Aspromonte received telegrams from Kennedy’s press secretary, Frank Mankiewicz, thanking them for their stand. Staub then went out and drove in two runs as the Astros defeated Philadelphia 5-1. One week later, on June 17, the Astros fired Grady Hatton as their manager and replaced him with their batting coach, Harry “The Hat” Walker. This move would have a profound effect on Staub’s career, and his life. Staub was batting .317 by the All-Star break. He was the lone Astro selected for the National League AllStar team and popped to third as a pinch-hitter as the National League defeated the American League 1-0 at the Astrodome. He slumped in the second half, as his average fell to .291, which tied him with Roberto Clemente for ninth place among National League batters in the Year of the Pitcher. He hit six home runs and had 72 RBIs. The truth was, Walker and Staub did not get along. As a batting coach, Walker did not like the fact that Staub often experimented with batting stances and grips on his own. In addition, Astros management felt that the bonus-baby power hitter they paid all that money was not giving them a good return on their investment—never mind the fact that Staub played half his games in the Astrodome, which was not a good home-run park. To put it bluntly, the Astros got taken. Rarely have a player and a city—make that an entire country—been such a perfect fit. Being from Louisiana, Staub was no stranger to French culture. Even so, the love affair between Montreal and Staub was something to behold. Sportswriter Ted Blackman of the Montreal Gazette soon bestowed the nickname Le Grand Orange on him, after Staub hit a two-run homer and caught the final out against the right-field fence to preserve a win that broke a 20-game losing streak. To this day, people who do not speak any French refer to him by that moniker. It did not hurt that Staub hit .302 with 29 home runs and 79 RBIs, but what really endeared him to Montreal’s French population was his sincere effort to learn la langue francais. During his time in Montreal, Staub developed—how often do you write this about a ballplayer?—a taste for fine wine. Charles Bronfman, chairman of Seagram’s Distillery, owned the Expos when Staub played there. Bronfman and his friends gave Staub books on wine and took him to tastings. He eventually became quite the connoisseur. He also enjoyed cooking. He began to cook when he was in the Arizona Fall League and his mother would send him recipes by mail, and he dated a restaurant manager in Montreal who taught him about the business side of running a restaurant. His celebrity status also gave him easy access to chefs in their kitchens. Staub would use the knowledge he gained in Montreal and New York after he retired. It did not hurt Staub’s reputation any that he fulfilled with the Expos the promise that he showed with the Astros. In 1970 he hit 30 home runs and drove in 94 runs while batting .274, and followed that up with 19 home runs, 97 RBIs, and a .311 average in 1971. He was the Expos’ lone representative at the All-Star Game both seasons; he pinch-hit in the 1970 game and didn’t play in 1971. Despite all the fine statistics and mutual love between player and city, there was still one problem—the Expos were not winning. After a 52-110 inaugural season, they improved to 73-89 in 1970 and declined slightly to 71-90 in 1971. The team’s brain trust decided that a significant move was necessary to improve the team, so on April 5, 1972, the Expos traded Staub to the New York Mets for Tim Foli, Mike Jorgensen, and Ken Singleton. As happy as Staub was to leave Houston, he was just as devastated when he left Montreal. He even cried when he heard the news. The term “Least Division” may have been invented for the National League East division in 1973. On August 5, the Mets were in last place with a 48-60 record, 11½ games off the pace, then went on a 34-19 run to win the division with an 82-79 mark. Staub had his weakest season in several years, not counting injury, batting .279 with 15 home runs and a team-leading 76 RBIs. The Mets faced the mighty Cincinnati Reds in the National League Championship Series and won the best-of-five affair in part due to Staub’s three home runs, including two in Game Three, as well as five RBIs. Staub also made a terrific defensive play in Game Four. With the score tied 1-1 in the 11th inning and two runners on, Staub ran back and caught a deep fly ball by Dan Driessen, saving one, if not two, runs. The play proved costly, as Staub bruised his shoulder running into the fence after the grab. He did not play in the NLCS clincher, and could not put anything on his throws during the World Series, which the Mets lost in seven games to the Oakland A’s. Staub got 11 hits in the Series, including one home run, as well as six RBIs. Staub turned 30 in 1974 and it seemed as if age was catching up to him, as he hit only .258, his lowest batting average since 1965, with 19 home runs, and a team-leading 78 RBIs. Then in 1975 Staub went where no Met had gone before; he became the first Amazin’ to drive in more than 100 runs in a season, when he drove in 105, to go along with 19 home runs and an improved .282 batting average. It was the first time in his career that Staub passed the century mark. Anyway, the Mets got a pitcher who went 8-13 with a 3.22 ERA in his only season with the team. The Tigers got a player who hit .299, swatted 15 home runs, drove in 96 runs, and started the All-Star Game. Staub played 126 games in right field with the Tigers in 1976, but he was used exclusively as a designated hitter over the following two seasons. For whatever reason, being the DH improved Staub’s home-run stroke, as he cracked 22 in 1977 to go along with 101 RBIs and a .278 batting average. He followed that up in 1978 with 24 home runs and, with Ron Leflore and Lou Whitaker hitting in front of him much of the season, a career-high 121 RBIs. He also hit .273. The 1979 season got off to a poor start for Staub. In fact, it almost did not start at all. He had signed a three-year contract in 1978 at $200,000 annually. When spring training rolled around in 1979, Staub decided he wanted more security, and held out for a contract extension at the same salary. In fact, he threatened to quit baseball and devote all his energies to the restaurant he had opened up in New York. Spring training came and went, then the season started, and still no Staub. He looked into the eye of the Tigers, and they looked back at him with a growl. He finally backed down, reported to the team, and played his first game on May 3. The franchise Staub joined was not the same nascent operation he left in 1972. This team played in the huge Olympic Stadium, not tiny little Jarry Park. More importantly, they were winning; the fans were attending Expos games in droves, so getting Staub was not a gimmick to sell tickets; Montreal needed a pinch-hitter. The Expos’ first home date after Staub’s return was a July 27 doubleheader against the Pirates, who were two games behind Montreal before play began. The Expos were behind 5-4 in the eighth inning when Pittsburgh brought Grant Jackson in to replace Kent Tekulve. While Jackson warmed up, a familiar face came out of the Expos dugout to pinch-hit for pitcher Elias Sosa. More than 59,000 fans rose up and gave him a five-minute standing ovation. Unfortunately for the Expos, he popped out. The Expos came in second in the NL East in 1979, two games behind the Pirates. They traded Staub again during spring training in 1980, this time to the Texas Rangers for minor leaguers Chris Smith and LaRue Washington. He played in 109 games for Texas, primarily as a DH, with some time in both left and right field. By this time, Staub’s numbers were clearly declining. He had a .300 batting average, but hit only nine home runs and drove in 55 runs. The Mets signed him as a free agent in 1981, and he spent the remainder of his career in New York, mainly as a pinch-hitter, but with the occasional foray into the outfield or first base. He retired after the 1985 season, having hit 13 home runs and driven in 102 in those five seasons, with a cumulative batting average of .276. One of his last career highlights came on September 25, 1984, when he hit a home run against the Phillies, becoming only the second player (after Ty Cobb) to hit a home run in the majors both as a teenager and after turning 40.17 Staub retired as the only major leaguer ever to have at least 500 hits with each of four different teams. The lifelong bachelor stayed in New York after his career ended. He had opened up his first restaurant, Rusty’s, in 1977 and followed that up with a second, Rusty Staub’s on Fifth, in 1989. (Both closed in the 1990s.) He was a radio and television broadcaster for Mets home games from 1986 to1995, providing color commentary with Ralph Kiner and Tim McCarver. He received a World Series ring from Mets general manager Frank Cashen after New York won it all in 1986. The honors accumulated for Staub after he retired. The Mets had Rusty Staub Day on July 13, 1986, to acknowledge his contributions to the team and he was inducted into the Mets Hall of Fame. He also became the first Expo to have his number retired, in 1993. He has been enshrined in the Louisiana Sports Hall of Fame (1989), the Texas Baseball Hall of Fame (2006), and the Canadian Baseball Hall of Fame (2012). Staub also received an honorary doctor of humane letters degree in 2004 from Niagara University. Staub also gives back to the community through two foundations he started while still playing. In 1984 he created the New York Police and Fire Widows and Children Benefit Fund to raise money for the families of first responders killed in the line of duty. The following year he started the Rusty Staub Foundation, which provides food pantries for underprivileged children in New York. On October 2, 2015, Staub suffered a heart attack on a flight from Ireland to New York. He recovered well enough to throw out the ceremonial first pitch at the third game of the National League Division Series at Citi Field between the Mets and the Los Angeles Dodgers on October 12. 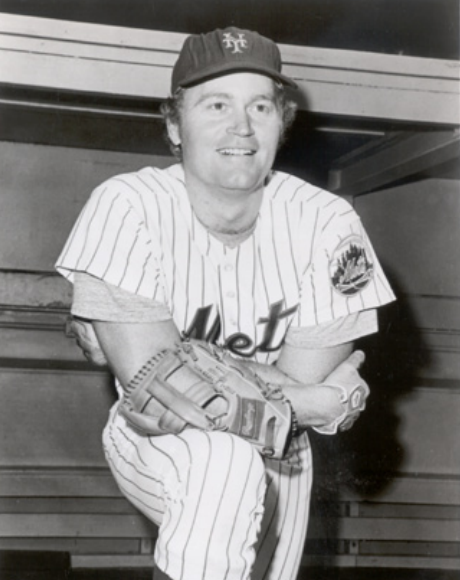 Rusty Staub died at the age of 73 on March 29, 2018. An earlier version of this biography is included in the book "The 1986 New York Mets: There Was More Than Game Six" (SABR, 2016), edited by Leslie Heaphy and Bill Nowlin. Cashen, J. Frank. Winning in Both Leagues: Reflections From Baseball’s Front Office (Lincoln: University of Nebraska Press, 2014). Kingston (New York) Daily Freeman. Statesville (North Carolina) Record and Landmark. Wellsville (New York) Daily Reporter. 1. Gary Ronberg, “Houston’s Boy Is Now a Man,” Sports Illustrated, August 14, 1967. 2. “Houston Colts To Give Youths A real Chance,” Valley Morning Star (Harlingen, Texas), April 7, 1963. 3. Kenneth Carr, “Today’s Sportrait,” McKinney (Texas) Daily Courier-Gazette, May 17, 1963. 4. Jack Hand, “Rusty Staub Relates Adventures of 19-Year-Old Baseball Rookie,” Corsicana (Texas) Daily Sun, March 30, 1964. 5. “Colts Send Rusty Staub to Oklahoma,” Denton (Texas) Record-Chronicle, July 7, 1964. 6. Roberto Clemente won the batting title with a .357 mark. 7. “Can Staub Be Astro Super-Star,” Galveston Daily News, March 30, 1968. 8. Kennedy was assassinated by Sirhan Sirhan on June 5, 1968, in Los Angeles. Maury Wills of the Pirates also refused to play, as did Milt Pappas of the Braves. 9. “Staub, Aspro Lose Day’s Pay,” Abilene (Texas) Reporter News, June 11, 1968. 10. Jonah Keri, Up, Up, & Away: The Kid, The Hawk, Rock, Vladi, Pedro, Le Grand Orange, Youppi, The Crazy Business of Baseball, & the Ill-fated but Unforgettable Montreal Expos (Toronto: Random House Canada, 2014). 11. Clendenon unretired when he knew he wasn’t going to Houston, and when the Expos added $14,000 to his salary. They traded him to the Mets later in the season, and he led them to a World Series victory, earning MVP honors in the process. 12. Stu Cowan, “Staub Found a Way Into Our Hearts,” Montreal Gazette, March 31, 2012. 13. 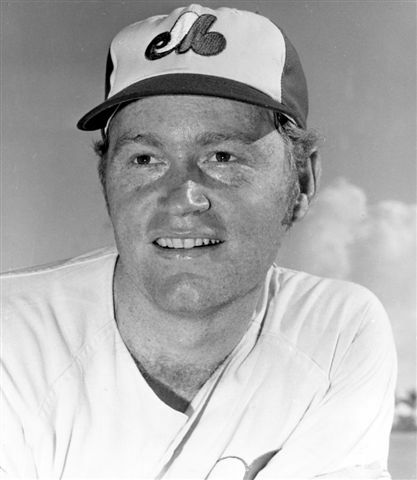 Richard Griffin, “Griffin: Expos’ Rusty Staub Deserves His Place in Canadian Baseball Hall of Fame," Toronto Star, February 7, 2012. 14. The 10-5 rule allows any player with 10 years of major league service, including five with one team, to veto any trade. 15. The Expos sent minor leaguer Randall Schafer, who never made it beyond Double-A to the Tigers in December 1979. 16. Video, Les Expos Nos Amours, produced by TV Labatt, 1989. 17. Since then, as of 2015, Gary Sheffield and Alex Rodriguez have accomplished the feat.